Texas Governor's Mansion - Volz & Associates Inc. 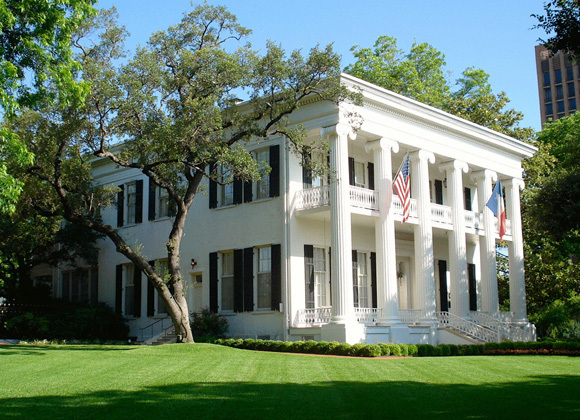 The Texas Governor's Mansion, designed by master builder Abner Cook in the Greek Revival style, is one of the most significant National Historic Landmarks in the State of Texas. We have served as the historical architect/ Architect of Record for many major and minor construction projects at the Mansion since 1995. The devastating fire of June 2008 created numerous preservation challenges for the property. Following the fire, we undertook months of forensic remediation to assist with stabilization of the Mansion, and we created the first Historic Structure Report for the Mansion. We then served as the local preservation consultants, serving as the long-term architectural memory for the recent restoration project.